The San Miguel Beermen is scheduled for a head-to-head game against the Magnolia Hotshots Pambansang Manok at 6:45 P.M. on July 7, 2018 live from the Smart Araneta Coliseum. 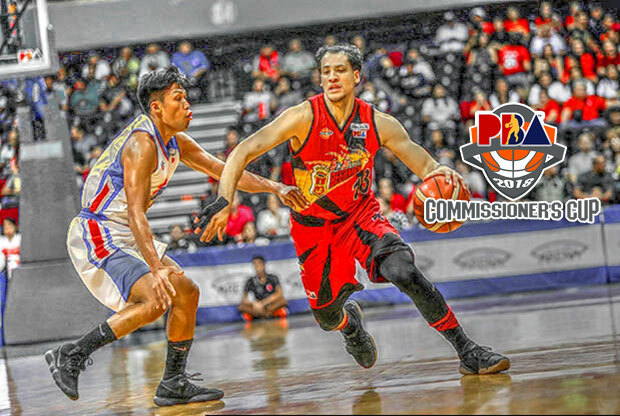 The Beermen are looking to make four-game winning streak as they end their 2018 PBA Commissioner’s Cup eliminations round while the Hotshots are eyeing for a back-to-back victories when PBA resumes tonight. With Barangay Ginebra San Miguel secured a win against the GlobalPort Batang Pier yesterday evening, the sixth spot now belongs to them and are safe against a team that carries a twice-to-beat advantage. That puts Magnolia outside that window and will be facing the Alaska Aces when the Quarterfinals starts. Magnolia’s streak shooter Paul Lee wanted to carry the momentum they have built against the NLEX Road Warriors as they prepare themselves for San Miguel. Wayne Chism had a stellar come-back game as he dropped 27 points. Magnolia and the entire Hotshots are hoping that he will bring the same success just like what Vernon Macklin did in their early second conference campaign. For the Beermen on the other hand, finishing the tournamen is a must as the playoffs approaches. “We want to finish strong at umaasa kaming makatulong sa amin ito sa playoffs,” said SMB forward Arwind Santos. The Beermen has endured their worst start at 0-3 and now on a verge of ending their Commissioner’s Cup campaign with 7-4 slate plus a four-game winning streak. Perfect timing for the defending champion.